Serving the entire area of Salinas, CA including Bolsa Knolls, Spreckels Junction, San Miguel Canyon, Spreckels, The Bluffs, Creekside, College Manor, Laurel Woods, Mission Park, Montclair, Village Heights, Creekbridge, Sunset West, and the surrounding community. Free Consultation & Design Estimates in and around Salinas, CA call Toll Free 805-222-4188. Celebrity Greens of Salinas, California is the Authorized Dealer, Installer and Designer of Artificial Grass, and Artificial Putting Greens for the entire Salinas, CA community. Celebrity Greens’ synthetic grasses are made of superior quality materials, long lasting and environmental-friendly. 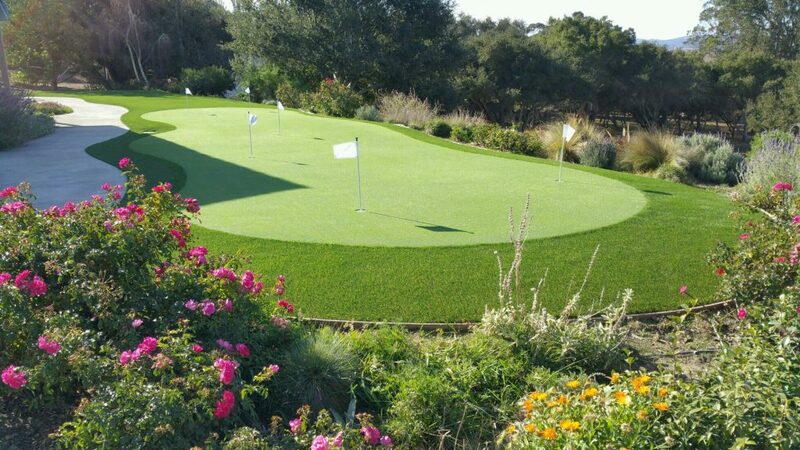 We’ve been designing and installing artificial grass and synthetic golf greens projects throughout North America for years, and we have the quality workmanship, experience and synthetic turf products that you are looking for. We offer the best in high quality, long-lasting, drought-tolerant and environmentally friendly artificial grass on the market today! We’ve partnered with the best manufacturers and industry leaders in the United States. Our products are made in the USA. Our exclusive relationship with the manufacturers allows us to offer you synthetic grass products that meet the highest standards in artificial grass, including top quality, longevity and durability – Our customers have peace of mind, a beautiful yard or putting green and we provide them with a manufacturer 8-year synthetic turf warranty. Our synthetic turf is completely lead-free and comes with tremendous environmental benefits including requiring no mowing or fertilizing, our artificial grass installations will save the average home owners thousands of water each year. Our design team are experts at tennis courts, football fields, baseball and soccer facilities and all sorts of sports surfaces, as well as padded playground surfaces. Of course, like our name implies, we specialize in designing and installing the most advanced sand filled, synthetic grass golf greens available today. Our artificial grass putting greens can be installed indoors and outdoors. We offer a multitude of design features including sand traps, water hazards, custom lighting and many other amenities to excite the game of golf. Contact us today and let us work with you on artificial grass lawn, playground, sports surface or your own private golf putting green. If you have a unique landscape project that involves synthetic turf and you want the best quality turf installed by the most capable, highly trained team of designers and installers, then you have come to the right place. Celebrity Greens Salinas offers complete landscaping services, and we are proud to offer products that require very low-maintenance while remaining lush and green through every season and all weather conditions. 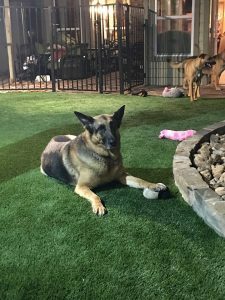 Contact our expert Artificial Grass Designers toll free at 805-222-4188 for a free consultation!